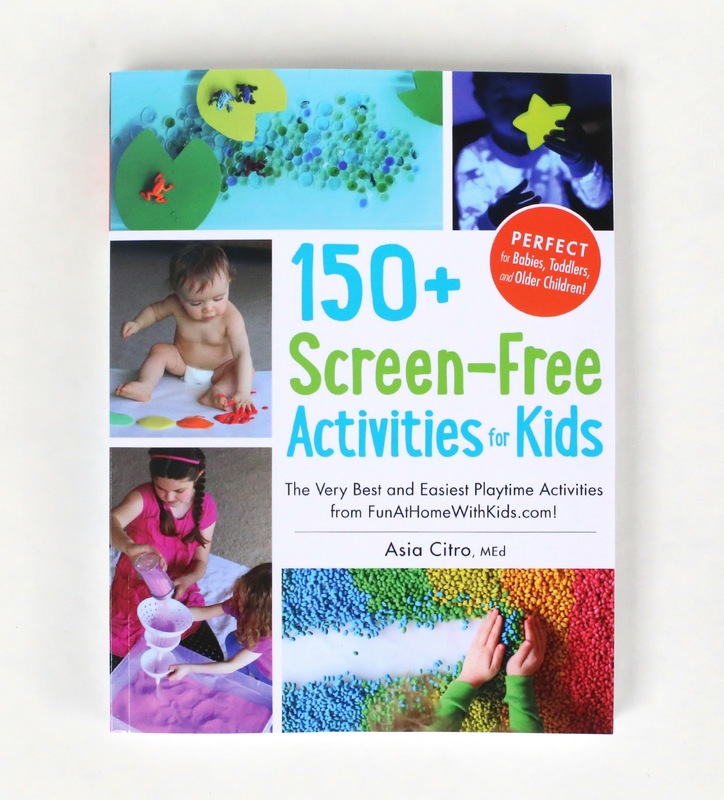 You can complete 120 of the activities in the book just using items found at a regular old grocery store! a unique baby shower gift! Sometimes the needed materials list for an activity book can be overwhelming. I tried to counteract that by providing a quick start shopping list of 15 easy-to-find items in the introduction of my book (see the list inside my book here!). 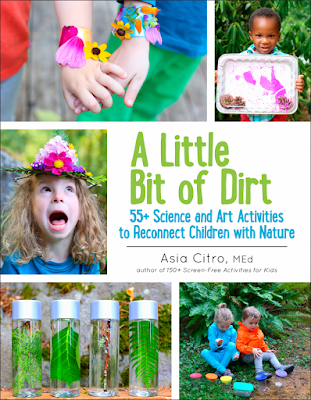 With those 15 items, you have the materials needed for approximately half of the activities in the book. Here's an example kit I put together using the quick start shopping list (I also added spaghetti noodles because they were only a dollar, haha). I shopped at the Dollar Tree for about half of it and picked the rest up at Target. Of course your final price will vary depending on where you purchase your supplies, but I was able to put this kit together for just under $40 - and that includes the book! My friend Megan gave me the idea for these -- she's putting some together for her son's classmates' birthday gifts. 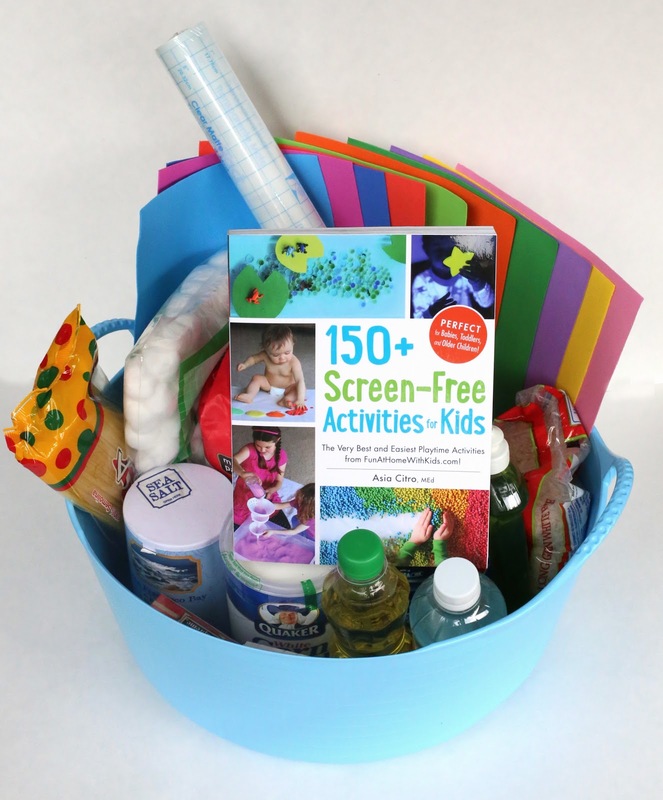 To make a rockin' smaller kit, pick a favorite activity and then bundle the book with all the needed supplies for that activity. Since there is a whole chapter in the book dedicated to slimes, I thought I'd showcase a DIY Slime Making Kit. 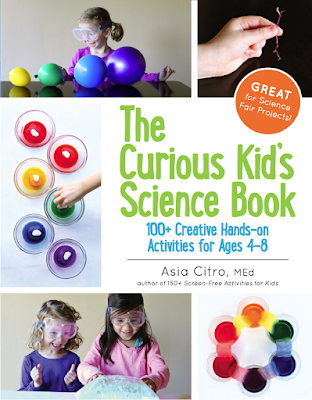 Unlike store bought Slime Kits, this one makes a larger batch of more customizable slime. 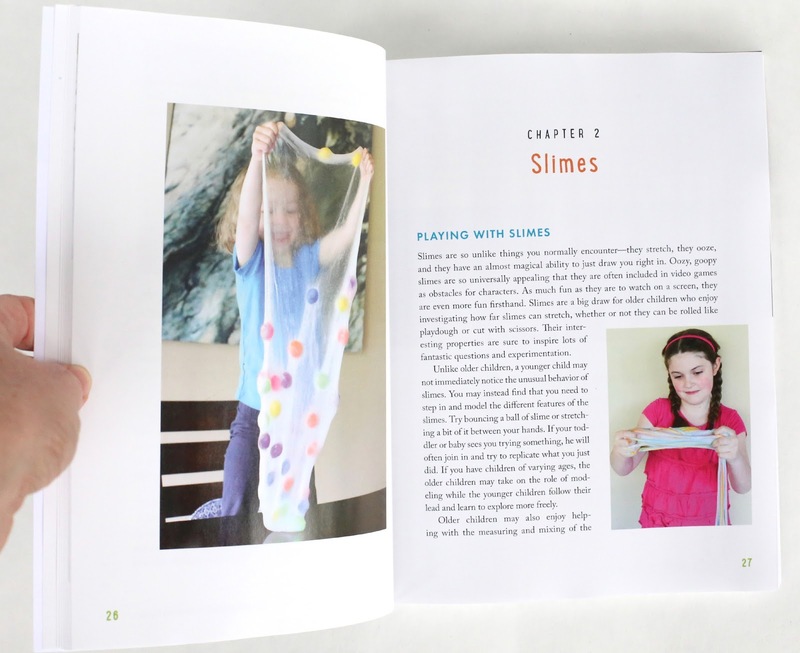 Plus it includes, by way of the book, the recipe for the basic nontoxic two-ingredient slime (so you can make it again and again) as well as a multitude of other slime recipes to try! 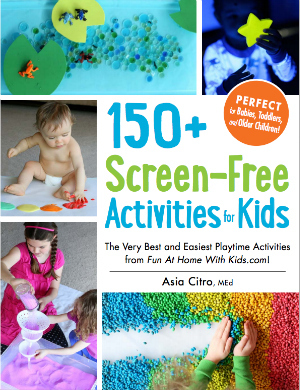 Since our book contains 72 activity ideas for babies, it would make a creative baby shower gift. 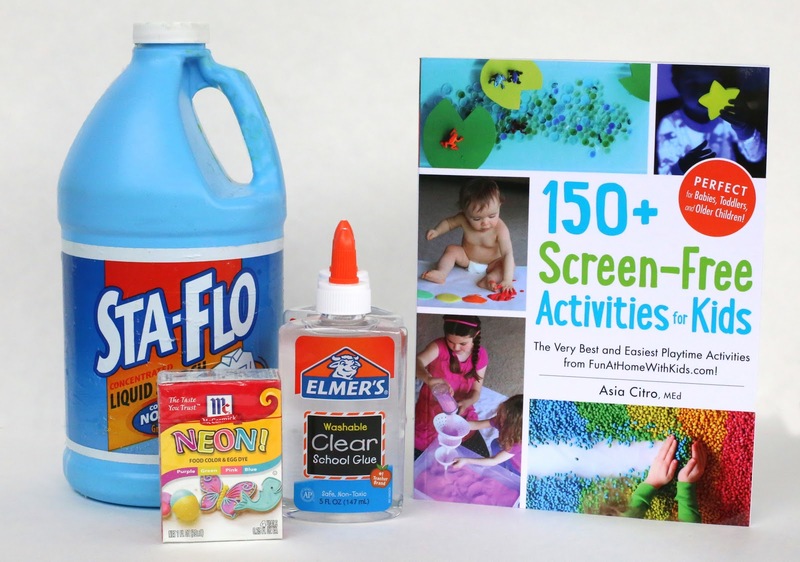 You could give the book alone, or you could make a smaller kit as detailed above out of a baby activity or two that you think your friend may enjoy. 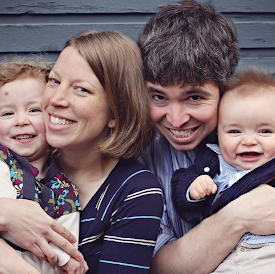 If you'd like to pair the book with some baby-friendly materials for a first birthday or first Christmas gift, my top supply choices would be: flour, cooking oil, cornmeal, cornstarch, gelatin, rice, spaghetti noodles, and flax seeds. Can I get the book for my nook? Yes, I believe it's in the works. I think that they are having a hard time making it the right size because I have 4852308508 pictures, hehehe. But it should be available soon -- hopefully by the end of the month? I love the ideas and can't wait for the book, but we live in France and some of the ingredients are just not available. What could I replace the sta-flo starch with? Thank you.